Light Elements is a collection of luxury hand-woven wool dhurries. The collection features an array of rugs with geometrical designs and in neutral colours, which makes them suitable for any room setting whether modern or traditional. 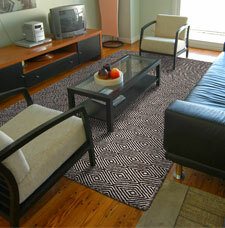 In addition the rugs are very high quality and are also very durable.